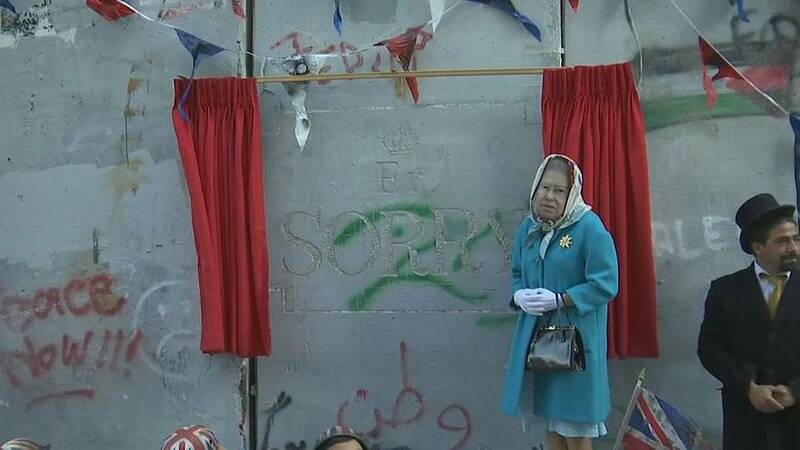 British graffiti artist, Banksy held an ironic street party in the West Bank town of Bethlehem to mark the upcoming one hundred year anniversary of the signing of the Balfour Declaration. The declaration was Britain’s promise to Zionists to create a Jewish home which is now the state of Israel. The party was held next to the Walled Off Hotel that opened earlier this year which sarcastically boasts it has the ‘worst view in the world’. The hotel is decorated with Banksy’s famous political art including the ‘Banksy Room’ which has the images of a masked Palestinian having a pillow fight with an Israeli soldier.